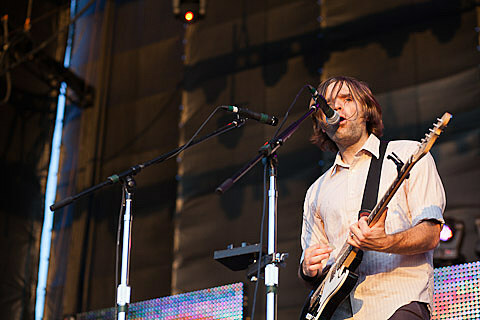 Death Cab For Cutie just announced a spring tour where they will collaborate on stage with San Francisco’s Magik*Magik Orchestra (who have also worked with John Vanderslice). That tour hits Austin on May 3 at ACL Live (Moody Theater) and hits Dallas one day later at McFarlin Auditorium (May 4). Both shows will be supported by Youth Lagoon (who will meanwhile be in Austin for SXSW). Fan Club pre-sale for all dates on the tour begins Friday (1/20) at noon and includes regular pre-sale tickets and the option for a limited number of DCFC t-shirt and poster bundles. Tickets for the ACL Live show go on sale Friday, 1/27 at 10 AM. Check ticketmaster for updates on the Dallas show. All dates listed at BrooklynVegan.